BENGALURU: Binu Narayan never would have suspected a CT scan of his brain to reveal a rare but critical condition termed as Cortical Sinus Thrombosis or Cerebral Venous Thrombosis, when he paid a visit to the doctor for nausea and giddiness which he was suffering from since the last two days. After being prescribed some regular medicines and being asked to undertake a CT scan of his brain, both he and the doctors were surprised with the results which showed a large hemorrhagic infraction involving the right half of his brain. “Such large hemorrhages put significant pressure on the vital structures of the brain…if these aren’t treated immediately, they could be dangerous,” Dr Venkatesh told the TOI. 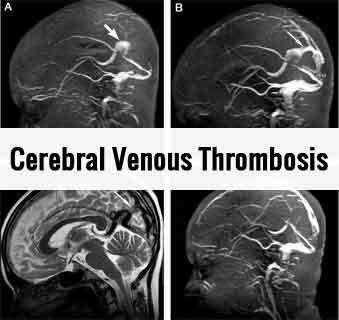 Cerebral Venous Thrombosis is the presence of acute thrombosis (a blood clot) in the dural venous sinuses or veins which drain blood from the brain. The obstruction of the blood flow from a clot in these veins leads to a back up of blood and increasing blood pressure in the blood vessels just before the obstruction. This is like water in front of a dam. The increased pressure leads to swelling of part of the brain, which results in headaches; the pressure can damage the brain tissue, leading to stroke-like symptoms. The increased pressure can also lead to rupture of the blood vessel and bleeding into the brain. Symptoms may include severe headache, nausea, vomitng, abnormal vision, any of the symptoms of stroke such as weakness of the face and limbs on one side of the body, and seizures. A very extensive blood clot may also lead to loss of consciousness . Use of hormonal contraceptives, meningitis, dehydration and anemia are some of the causes leading to the condition. The surgery was successfully completed with no post operative complications as of now.